A must for one in the home and one in the car. For quick use. 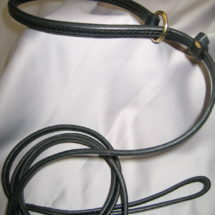 Hand Made of English Bridle Leather. 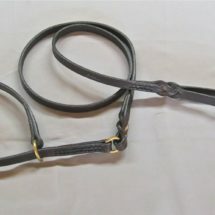 The slip leash is a collar/lead in one with a slider stop, Comes 5′ with Brass or Chrome Hardware. A must for one in the home and one in the car. For quick use. 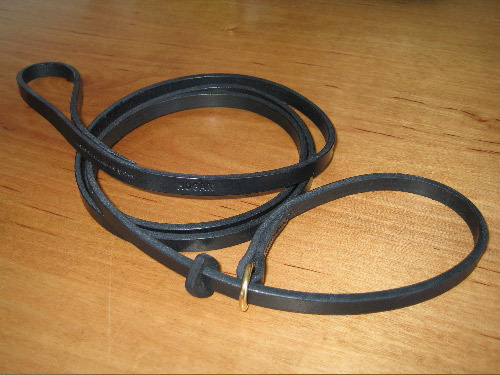 Hand Made of English Bridle Leather. 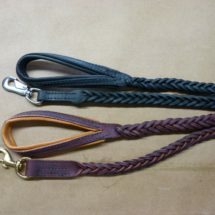 The slip leash is a collar/lead in one with a slider stop. Comes 5′ with Brass or Chrome Hardware.